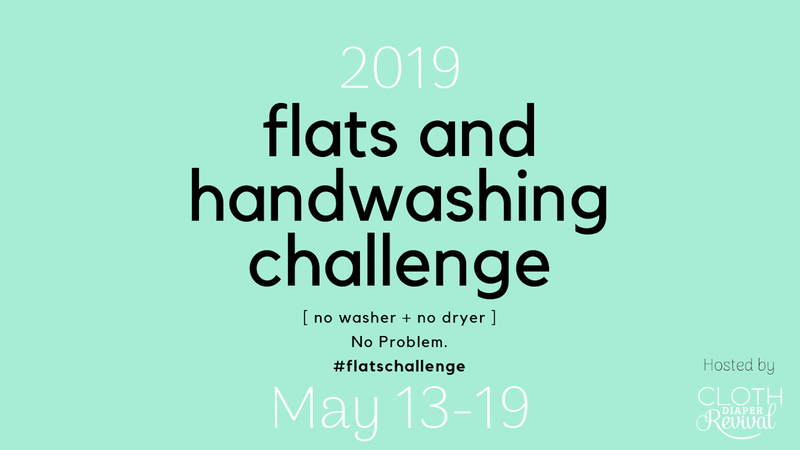 Cloth Diaper Revival: Sign Up for the 2019 Flats and Handwashing Challenge! Sign-ups are now open for the 9th Annual Flats and Handwashing Challenge! In case you missed the announcement, this year's event will take place May 13-19. This year's event starts the day after Mother's Day and a couple weeks before Memorial Day. So hopefully you won't have to worry about traveling during the challenge this year. Last year was a rough year for me taking the Challenge. I had just given birth to my third baby, had two under two, two in diapers, we moved into a new home and I was having serious health complications following my daughter's birth. It really opened to my eyes to how challenging using flats and handwashing diapers full time could be for some families. But this year I'm hoping it will be a bit easier! I only have one in diapers and life has settled down quite a bit compared to this time last year. I have changed a few things this year (nothing major!) to keep up with the way that we use social media (influencers particularly) so please read carefully before signing up! The Flats and Handwashing Challenge was started 9 years ago by Kim Rosas of Dirty Diaper Laundry as a way to show that flat cloth diapers and hand washing are real solutions for families that struggle with diaper need. Many families are unable to provide diapers for their baby due to financial constraints. No child should have to go without basic needs and diapers definitely fall into that category. 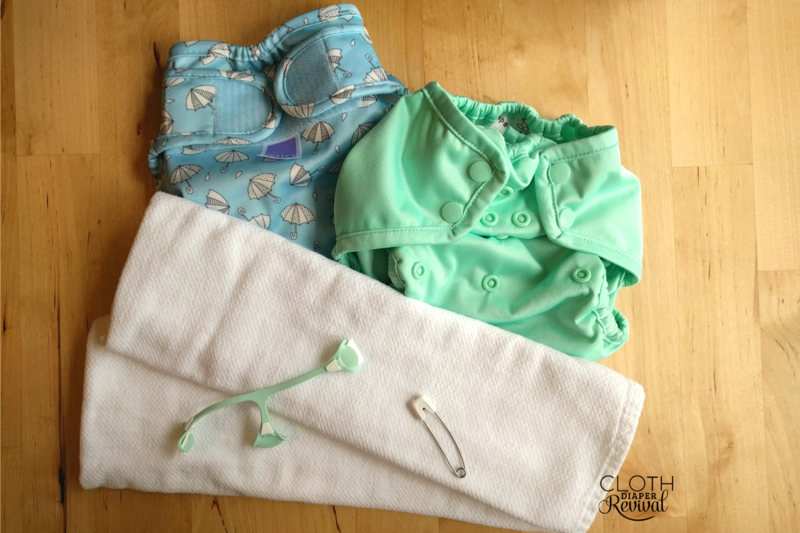 A small stack of flat cloth diapers is inexpensive and can even be made for free using t-shirts, dish clothes, or other materials found around the home. Many times, these families also lack access to a washing machine. Hand washing flat cloth diapers is easier than you think and flat cloth diapers dry very quickly, often in just a few hours. Are you up for the challenge? For one week, you'll set aside your modern cloth diapering stash and switch to flats and covers. There's no washing machines allowed this week! Read the rules below for more details. Any flat cloth diaper, store bought or handmade. A flat is defined as 1 single layer of material for easier handwashing and drying. One nighttime diaper of your choice, although it is preferred that you make flats work for nights. This diaper must be handwashed. Doublers (not inserts meant to be absorbent enough to stand alone) if absolutely necessary. Handmade washing machine, such as a camp style washer. Non-electric portable washing machine (must be powered by you and cost less than $100). Diaper covers, store bought or handmade. Detergents, store bought or handmade. Snappi, Boingo, or diaper pins. Pocket diapers stuffed with FLAT DIAPERS. Fleece liners, store bought or handmade. Iron to expedite drying or sterilizing diapers. Pockets with inserts other than flats, AIOs, Fitteds, Prefolds, AI2s, etc. You cannot use your washer/dryer. If something comes up and you must use an exception, you must disclose this in the Conclusion Survey or on your blog if you are a blogger. There is no limit on the number or flats/covers you can use. However, a reasonable amount is preferred (no more than enough for a day or two of cloth diapering). PLEASE NOTE that there is no prize for completing the Challenge. This is just a way to advocate for another way to provide diapers for a baby, to challenge yourself and what you can do, to raise awareness about diaper need, etc. If you are unable to complete this year's challenge, it's okay! If something comes up and you can't finish the challenge once starting, that's okay too. Do your best! Not being able to complete the challenge once starting was a huge eye opener for me and a great conversation starter. I still learned a ton by not finishing the challenge myself (particularly about what is and is not doable in life sometimes). You can read more about that here. In the past this section was referred to as "Bloggers". However, I feel like the way we use social media has evolved a lot over the past 9 years. While some of you may be bloggers, there are also Vloggers on Youtube, social media influencers on Instagram, etc. So if you have a public space that you share about your experience, this section is directed towards you and for the duration of the Challenge I will refer to you as "Influencers". Influencers are encouraged to participate and share about their experience using whichever platform they prefer. There will be a daily discussion topic (shared below). There will NOT be a daily linky on my posts as in the past. Please tag your post using #flatschallenge. You are also welcome to share your links daily in the Flats and Handwashing Challenge Facebook group as this is where the majority of the discussion from other participants will take place. There will NOT be a separate email sent to Influencers for the Challenge and you will not need to indicate that you are one on the sign up sheet. Each day you must link back to the following: the rules post, Cloth Diaper Revival, and also explain about the challenge. I realize that linking may be difficult on some Influencer channels. On Youtube, you can put it in your description. On Instagram/Instagram, you can mention Cloth Diaper Revival. On Facebook, you can put links in the description. This isn't a hard/fast rule, just a way to help people find as much information as possible if they are interested. You can use the following as a template if you choose or reword it as you see fit. "I'm participating in the Flats and Handwashing Challenge hosted by Cloth Diaper Revival. This event ______"
You may also use any official graphics, found on this site or in the group. If you have any products that were sent to you by a company, you may use them, but please don't focus your post on promoting the item. A separate review would be more appropriate for that. My social handles are below. If you need to link up you can use the following. These are all ways you can get in touch with me regarding the Challenge as well. If you are a store or brand participating, please follow the same rules as Influencers when introducing your post. You may link to the products you sell, but please refrain from turning the post into a sales pitch. The heart of this event is to raise awareness and the goal is to keep it from being too commercial. Monday - Why are you taking the Flats and Handwashing Challenge? Tuesday: What's in your stash/materials used? How much does it cost? Wednesday - Share your favorite flat fold. Thursday - Share your wash routine. Saturday - What's working for me? What isn't? Sunday - What did I learn? How did it go? Each year this event sees an increasing amount of interest from stores and manufacturers who often offer discount codes and incentives for flats and covers. If you are a company planning to offer any sort of special promotion or discount related to the challenge, or your company is blogging along, please email me beforehand to discuss opportunities. Grab this image and share that you are taking part in the challenge! and stay tuned for details about sales and helpful links to get you through the week!